You’ve probably noticed there’s less singing and chirping during the winter, but make no mistake, the birds are still there. Our feathered friends are just allocating more of their energy toward staying warm. 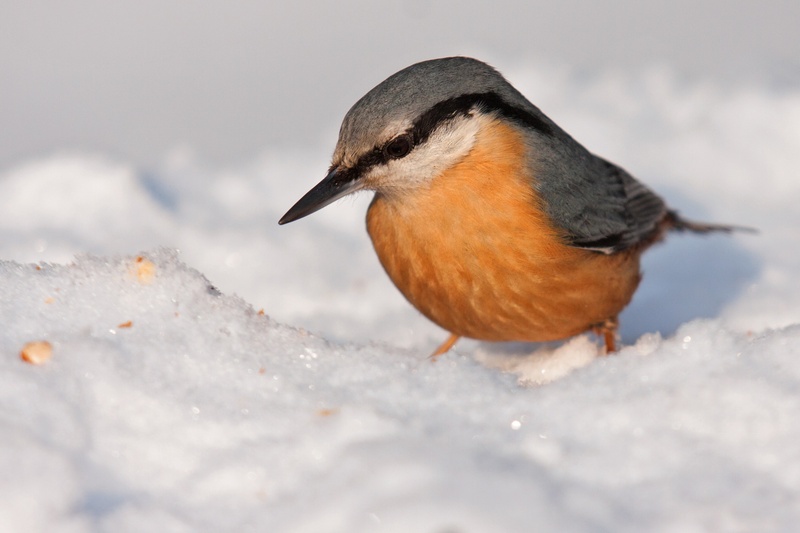 Unsurprisingly, winter can be tough for birds due to food being scarce, water being frozen, shelter being limited, insects being dead, days being short and nights being long. When times become extra tough for birds, the help of humans can mean survival. Birds burn more calories during the winter trying to produce heat and stay warm. 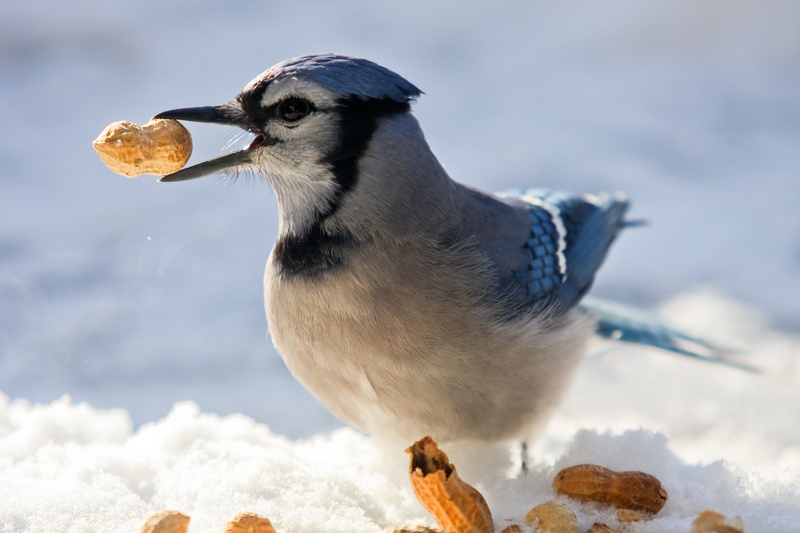 Suet is a great source of fat, carbs and protein that will provide a good amount of energy. Nutrition is still important, so its a good idea to put out a variety of seed, such as black oil sunflower seed, hulled peanuts, nyjer seed and millet seed. In the fall, many birds will begin to form flocks. Birds are better able to find food and protect each other from predators when in flocks. These means that your feeders could experience an influx of birds all at once, so having enough food for the entire flock is important. Another option is to increase the number of bird feeders you use. With many water sources freezing in the cold, birds can struggle to find hydration. That’s why providing water can be just as important as providing food. 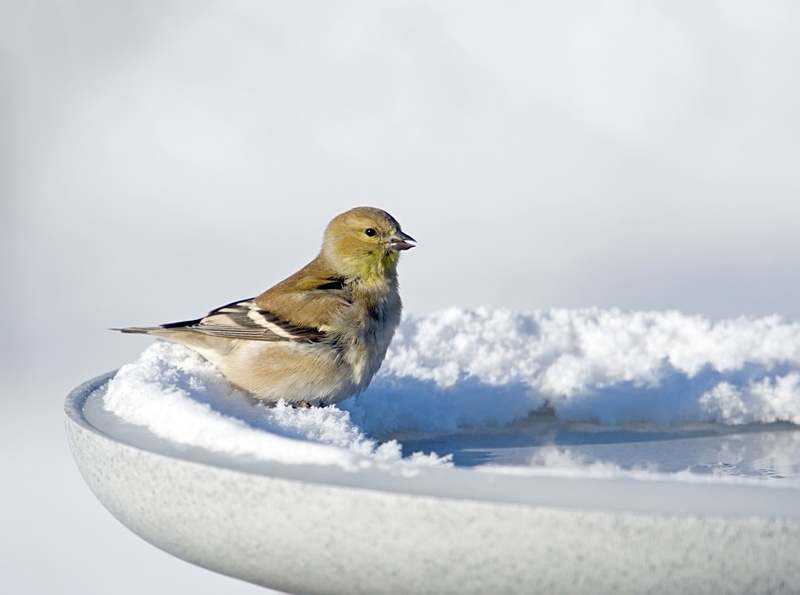 During especially cold weather, using heated pans and bird baths can keep the water drinkable. You’ve most likely noticed that birds aren’t the cleanest eaters. Stamping down the snow or clearing it away with a shovel can help the birds collect the feed that has dropped to the ground. This will also benefit natural ground-feeding birds such as doves, sparrows and juncos. Cats and other predators of birds don’t become more compassionate to the struggle of birds during the winter. You can lend a hand by placing your feeding locations away from bushes and shrubs, places where cats can be extra sneaky. No matter where you place your feeders, cats will inevitably be nuisances, but with enough time to react, the birds should be able to stay out of their claws. Throughout the cold season, birds will become accustomed to your feeders and return to them often. During especially harsh storms, it may be inconvenient to check on the feeders, but it could be the key to survival for some. If you go on vacation, remember to have someone stop by and refill your feeders.